May 2016 – Platform r.f. Vaasa with its two jazz clubs has a decent selection of music for the enthusiasts of the genre, although free jazz is unfortunately seldom heard in our town. Platform rf. is mending the lack by inviting one of Britain’s most remarkable saxophonists to Vaasa. The Platform Live-events have contained a vast array of experimental performative art during the past years, on later days the events have focused on different performances. On Saturday 14.5. Platform live is held in the café of the Ritz-theatre in Vaasa, on stage we will experience two different approaches to experimental music. 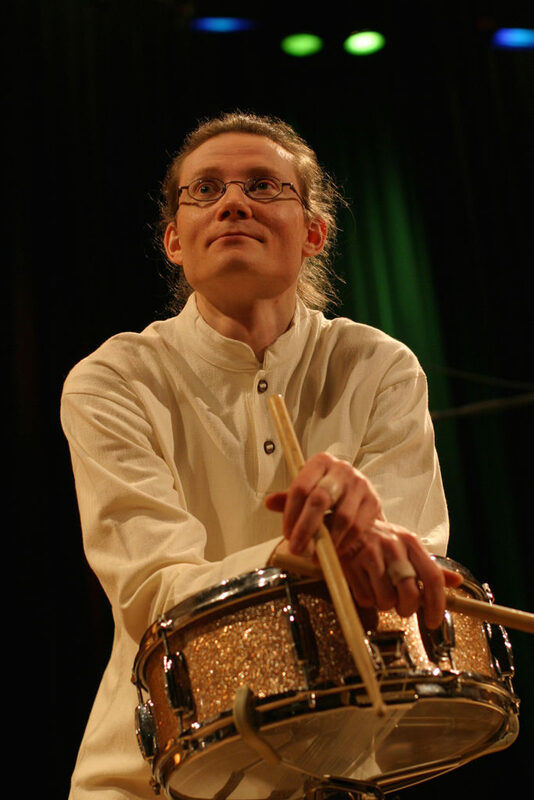 During the Night we will hear an electronic solo gig from Vaasa’s own Vesa-Matti Kivioja and the British-Finn free jazz duo with saxophonist Alan Wilkinson and percussionist Janne Tuomi.